This book aims at providing a brief but broad overview of biosignatures. The topics addressed range from prebiotic signatures in extraterrestrial materials to the signatures characterising extant life as well as fossilised life, biosignatures related to space, and space flight instrumentation to detect biosignatures either in situ or from orbit. The book ends with philosophical reflections on the implications of life elsewhere. In the 15 chapters written by an interdisciplinary team of experts, it provides both detailed explanations on the nature of biosignatures as well as useful case studies showing how they are used and identified in ancient rocks, for example. One case study addresses the controversial finding of traces of fossil life in a meteorite from Mars. 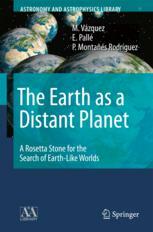 The book will be of interest not only to astrobiologists but also to terrestrial paleontologists as well as any reader interested in the prospects of finding a second example of life on another planet. 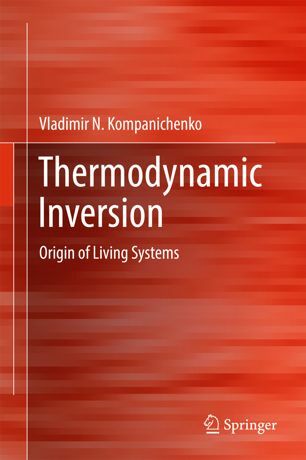 This book discusses the theory, general principles, and energy source conditions allowing for the emergence of life in planetary systems. 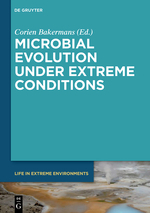 The author examines the material conditions found in natural hydrothermal sites, the appropriate analogs of prebiotic environments on early Earth. He provides an overview of current laboratory experiments in prebiotic materials chemistry and substantiation of a new direction for the experiments in the origin of life field. This new book discusses the 3000 years of astronomical developments and their effects on society, philosophy and religion. This book has been prepared under the auspice of the European Low Gravity Research Association (ELGRA). The main task of ELGRA is to foster the scientific community in Europe and beyond in conducting gravity and space-related research. All articles of this special issue can be downloaded for free. Read also the related Cambridge Journals Blog entry by Gerda Horneck. 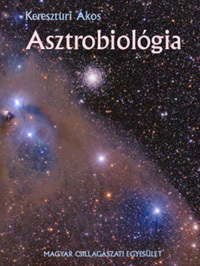 Introduction to the Special Collection of Papers from EANA 2013: The 13th European Workshop on Astrobiology ("Through Cosmic Dust to DNA") by Franco Ferrari and Ewa Szuszkiewicz (open access). 2013, IX, 349 p. 79 illus., 55 illus. in color. Please click here to obtain a copy of this paper. Editor-in-Chief: Sherry L. Cady, Ph.D.
Information on the radiation field around EXPOSE-E was provided by 3 experiments (Team leaders: Günther Reitz, DLR, Germany; Donat-P. Häder, Germany; Tvsetan Dachev, SSTRI-BAS Bulgaria). The EXPOSE-E hardware was built by the industrial prime contractor Kayser-Threde GmbH, München, Germany. EXPOSE-E ground operations were supported by the Facility Support Center MUSC at DLR, Köln, Germany. 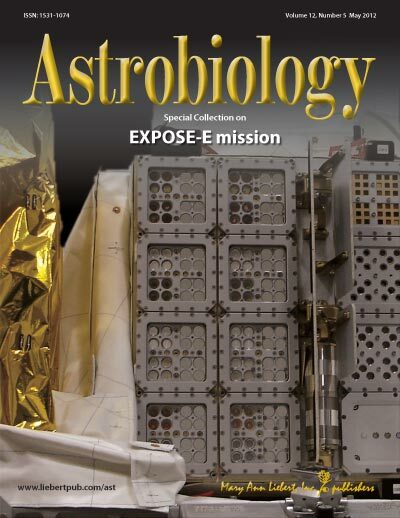 These results from EXPOSE-E are first presented in a special issue of Astrobiology, a peer-reviewed journal from Mary Ann Liebert, Inc. (www.liebertpub.com). The issue is available free online at www.liebertpub.com/ast. The rise of computers and rocket science in the last half of the 20th century allowed scientists to make two amazing discoveries that indicated life may be widespread throughout our universe. In the 1970s, life scientists started finding small bacterial-like creatures living on our planet in extreme hostile environments that everyone believed should instantly kill any living things. Some of these life-forms lived in hot or boiling water that was extremely salty, acidic, or alkaline. A few made their homes inside icebergs, while others lived inside rocks located miles below ground, or even on the power rods of nuclear power plants. A number of those shown are freely available, including a short editorial comment on the recent arsenic DNA issue. Due to its specific chemical and physical properties, water is essential for life on Earth. And it is assumed that this would be the case for extraterrestrial life as well. Therefore it is important to investigate where water can be found in the Universe. Although there are places that are completely dry, places where the last rainfall happened probably several 100 million years ago, surprisingly this substance is quite omnipresent. In the outer solar system the large satellites of Jupiter and Saturn are covered by a thick layer of ice that could be hiding a liquid ocean below. This of course brings up the question of whether the recently detected extrasolar planets could have some water on their surfaces and how we can detect this. Water molecules are also found in interstellar gas and dust clouds. 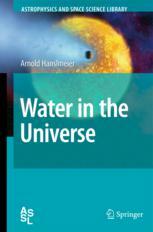 This book begins with an introductory chapter reviewing the physical and chemical properties of water. Then it illuminates the apparent connection between water and life. This is followed by chapters dealing with our current knowledge of water in the solar system, followed by a discussion concerning the potential presence and possible detection of water on exoplanets. The signature of water in interstellar space and stars are reviewed before the origin of water in the Universe is finally discussed. The book ends with an appendix on detection methods, satellite missions and astrophysical concepts touched upon in the main parts of the book. The search for water in the Universe is related to the search for extraterrestrial life and is of fundamental importance for astrophysics, astrobiology and other related topics. This book therefore addresses students and researchers in these fields. 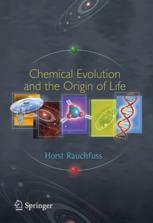 This book follows the evolutionary trail all the way from the Big Bang 13.7 billion years ago to conscious life today. It is an accessible introductory book written for the interested layperson – anyone interesting in the ‘big picture’ coming from modern science. It covers a wide range of topics including the origin and evolution of our universe, the nature and origin of life, the evolution of life including questions of birth and death, the evolution of cognition, the nature of consciousness, the possibility of extraterrestrial life and the future of the universe. The book is written in a narrative style, as these topics are all parts of a single story. It concludes with a discussion on the nature and future of science. “Peter Shaver has written engagingly for anyone curious about the world we inhabit. 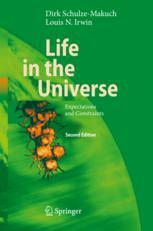 If you'd like to know how the Universe began, where the chemical elements originated, how life may have started on Earth, how man, ants and bacteria are related to each other, or why we humans think, you will enjoy this panoramic book and its clear presentation” – Martin Harwit, Professor Emeritus of Astronomy, Cornell University, NY, and former Director of the Smithsonian National Air and Space Museum, Washington. "Who is not interested in the big questions "How did it all start? Where do we come from? Where do we go? Are we alone?" This book addresses theses questions in an entertaining way based on our knowledge of modern science. It opens our horizons towards understanding the history of the universe and the origin and evolution of life in the context of cosmic evolution." Dr. Gerda Horneck, DLR German Aerospace Center, Institute of Aerospace Medicine, Cologne, Germany. 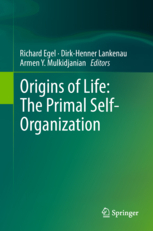 "A very elegant, open-minded book that opens the door for informed discussion of the continuity of evolutionary processes from the big bang to the emergence of the mind... stimulating and highly engaging reading" – Ryszard Maleszka, Professor of Molecular Genetics, Australian National University, Canberra. "Peter Shaver has produced a remarkable book. He covers an immense range, offering a splendid overview of the intricate processes that connect us to the universe, and which allowed complex life to emerge from simple beginnings" – Martin Rees, Master of Trinity College, Cambridge and Astronomer Royal. “Where did the universe come from? What is life and how did it begin? How did complex life-forms evolve? How did consciousness arise? Are we alone in the universe? Questions don't get any bigger than these. In this beautifully concise account, astrophysicist Peter Shaver asks these questions and more and assesses how far modern science has come to providing answers. Anyone who has ever wondered who we are and where we came from should read this book” – Stephen Simpson, Professor of Biological Sciences, University of Sydney. “This is a well written, marvellous book for a very broad audience which covers much of current scientific thought in a concise way. The author successfully shows how many of the great philosophical issues that have fascinated humanity for centuries from the origin of the world, the evolution of life to the nature of consciousness are gradually being shifted from the domain of philosophy or speculation to that of rigorous science.” – Lodewijk Woltjer, former Director General of the European Southern Observatory and former President of the International Astronomical Union. The Wondrous Universe - Creation without Creator? The interdisciplinary field of Astrobiology constitutes a joint arena where provocative discoveries are coalescing concerning, e.g. the prevalence of exoplanets, the diversity and hardiness of life, and its increasingly likely chances for its emergence. Biologists, astrophysicists, biochemists, geoscientists and space scientists share this exciting mission of revealing the origin and commonality of life in the Universe. The members of the different disciplines are used to their own terminology and technical language. In the interdisciplinary environment many terms either have redundant meanings or are completely unfamiliar to members of other disciplines. 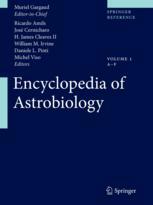 The Encyclopedia of Astrobiology serves as the key to a common understanding. Each new or experienced researcher and graduate student in adjacent fields of astrobiology will appreciate this reference work in the quest to understand the big picture. 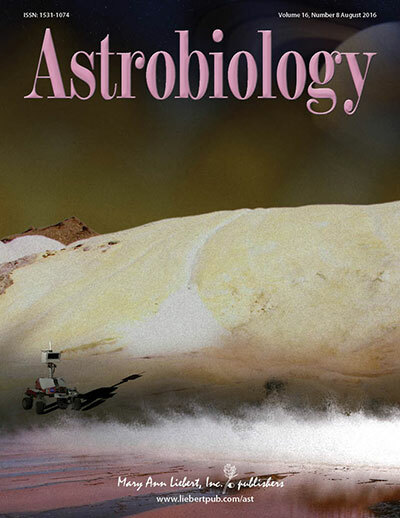 The carefully selected group of active researchers contributing to this work and the expert field editors intend for their contributions, from an internationally comprehensive perspective, to accelerate the interdisciplinary advance of astrobiology. "Planets, Stars and Stellar Systems"
Each of the approximately 20 chapters per volume is written by a practicing professional within the appropriate sub-discipline. They include sufficient background material and references to the current literature to allow one to learn enough about a specialty within astronomy, astrophysics and cosmology to get started on a practical research project. In the spirit of the series Stars and Stellar Systems published by Chicago University Press in the 1960s and 1970s each chapter of Planets, Stars and Stellar Systems stands on its own as a fundamental review of its respective sub-discipline and each volume can be used as a text or recommended reference for advanced undergraduate or postgraduate courses. Advanced students through professional astronomers in their roles as both lecturers and researchers will welcome Planets, Stars and Stellar Systems as comprehensive and pedagogical reference to astronomy, astrophysics and cosmology. This issue acknowledges also EANA because many EANA related colleagues were involved and the whole issue is available online as pdf via the link below. It represents more or less the latest stage of Habitability knowledge on exoplanets, etc. Bertrand, M., van der Gaast, S., Vilas, F., Hörz, F., Haynes, G., Chabin, A., Brack, A., Westall, F.
Delivery of prebiotic molecules, such as amino acids and peptides, in meteoritic/micrometeoritic materials to early Earth during the first 500 million years is considered to be one of the main processes by which the building blocks of life arrived on Earth. 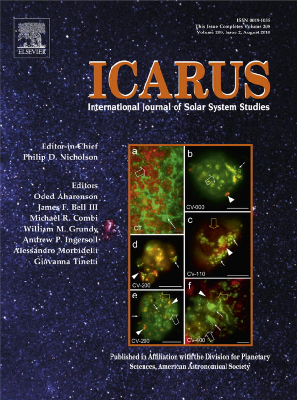 In this context, we present a study in which the effects of impact shock on amino acids and a peptide in artificial meteorites composed of saponite clay were investigated. The samples were subjected to pressures ranging from 12–28.9GPa, which simulated impact velocities of 2.4–5.8km/s for typical silicate-silicate impacts on Earth. Volatilization was determined by weight loss measurement, and the amino acid and peptide response was analyzed by gas chromatography–mass spectrometry. For all compounds, degradation increased with peak pressure. At the highest shock pressures, amino acids with an alkyl side chain were more resistant than those with functional side chains. The peptide cleaved into its two primary amino acids. Some chiral amino acids experienced partial racemization during the course of the experiment. Our data indicate that impact shock may act as a selective filter to the delivery of extraterrestrial amino acids via carbonaceous chondrites. 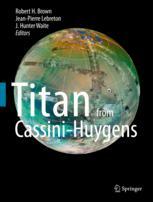 This book reviews our current knowledge of Saturn's largest moon Titan featuring the latest results obtained by the Cassini-Huygens mission. A global author team addresses Titan’s origin and evolution, internal structure, surface geology, the atmosphere and ionosphere as well as magnetospheric interactions. The book closes with an outlook beyond the Cassini-Huygens mission. Colorfully illustrated, this book will serve as a reference to researchers as well as an introduction for students. Vázquez, M., Pallé, E., Montañés Rodríguez, P.
Is the Earth, in some way, special? Or is our planet but one of the millions of other inhabited planets within our galaxy? This is an exciting time to be asking this old question, because for the first time in history, the answer is within reach. In The Earth as a Distant Planet, the authors set themselves as external observers of our Solar System from an astronomical distance. From that perspective, the authors describe how the Earth, the third planet in distance to the central star, can be catalogued as having its own unique features and as capable of sustaining life. The knowledge gained from this original perspective is then applied to the ongoing search for planets outside the solar system, or exoplanets. Since the discovery in 1992 of the first exoplanet, the number of known planets has increased exponentially. Ambitious space missions are already being designed for the characterization of their atmospheres and to explore the possibility that they host life. The exploration of Earth and the rest of the rocky planets in our Solar System will help us in classifying and understanding the multiplicity of planetary systems that exist in our galaxy. In time, statistics on the formation and evolution of exoplanets will be available and will provide vital information for solving some of the unanswered questions about the formation, as well as the evolution, of our own world. 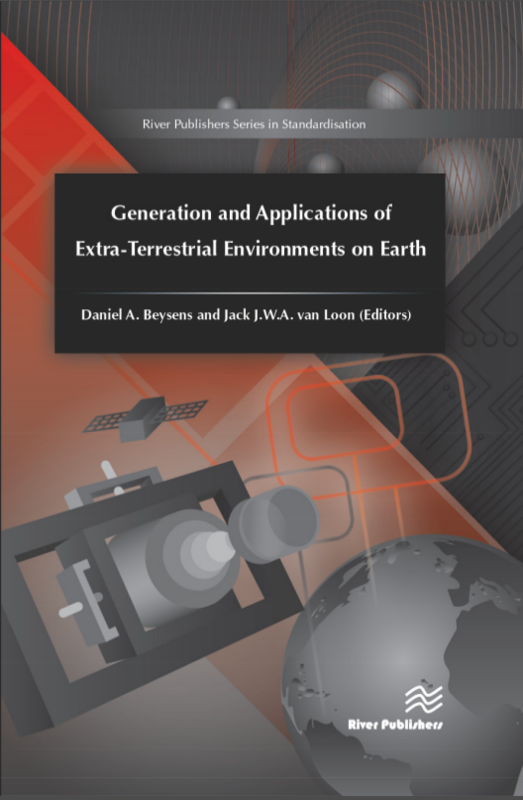 The authors provide an introductory but also very much up-to-date referenced text, making this book useful not only for the layman, but also for researchers and advanced students in Astrophysics and Earth Sciences. Catastrophic cosmic events of this type appear in the range of some 100 million years. The author discusses whether and how such events could have occurred in the solar system as well as in recently found extrasolar planetary systems. 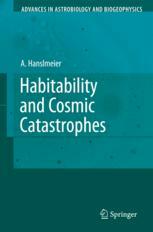 In this text, which addresses readers in the field of Astrophysics and Astrobiology but also Geophysics and Biology these cosmic catastrophic events are described at an intermediate student's level. 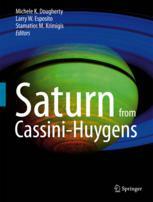 This book reviews our current knowledge of Saturn featuring the latest results obtained by the Cassini-Huygens mission. A global author team addresses the planet’s origin and evolution, internal structure, composition and chemistry, the atmosphere and ionosphere, the magnetosphere, as well as its ring system. Furthermore, Saturn's icy satellites are discussed. The book closes with an outlook beyond the Cassini-Huygens mission. Colorfully illustrated, this book will serve as a reference to researchers as well as an introduction for students. "How did life originate and why were left-handed molecules selected for its architecture?" This question of high public and interdisciplinary scientific interest is the central theme of this book. It is widely known that in processes triggering the origin of life on Earth, the equal occurrence, the parity between left-handed amino acids and their right-handed mirror images, was violated. The balance was inevitably tipped to the left - as a result of which life's proteins today exclusively implement the left form of amino acids. Written in an engaging style, this book describes how the basic building blocks of life, the amino acids, formed. After a comprehensible introduction to stereochemistry, the author addresses the inherent property of amino acids in living organisms, namely the preference for left-handedness. What was the cause for the violation of parity of amino acids in the emergence of life on Earth? All the fascinating models proposed by physicists, chemists and biologist are vividly presented including the scientific conflicts. 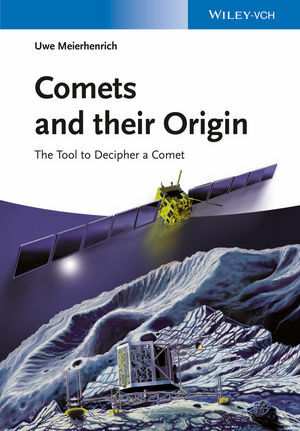 The author describes the attempt to verify any of those models with the chirality module of the ROSETTA mission, a probe built and launched with the mission to land on a comet and analyse whether there are chiral organic compounds that could have been brought to the Earth by cometary impacts. 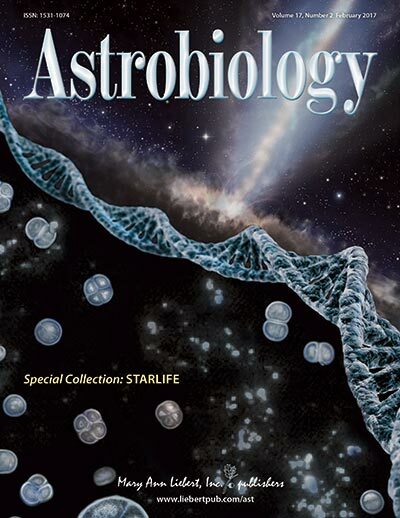 A truly interdisciplinary astrobiology book, "Amino Acids and the Asymmetry of Life" will fascinate students, researchers and all readers with backgrounds in natural sciences. With a foreword by Henri B. Kagan. 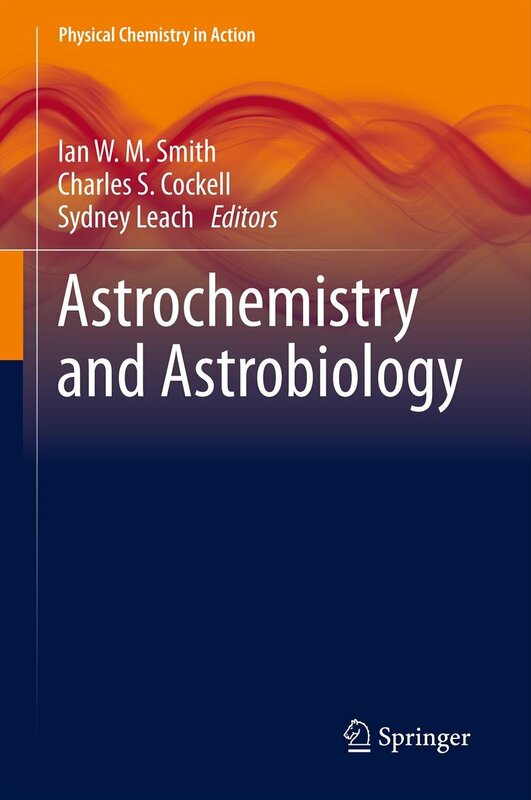 This book explicitly investigates issues of astrobiological relevance in the context of cold aqueous planetary geochemistry. At the core of the technical chapters is the FREZCHEM model, initially developed over many years by one of the authors to quantify aqueous electrolyte properties and chemical thermodynamics at subzero temperatures. 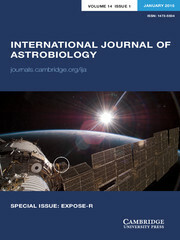 FREZCHEM, of general relevance to biogeochemists and geochemical modelers, cold planetary scientists, physicochemists and chemical engineers, is subsequently applied to the exploration of biogeochemical applications to solar systems bodies in general, and to speculations about the limits for life in cold environments in particular. Schulze-Makuch, Dirk, Irwin, Louis N.
Energy, chemistry, solvents, and habitats -- the basic elements of living systems - define the opportunities and limitations for life on other worlds. 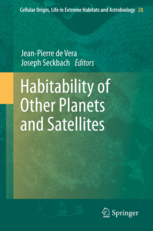 This class-tested text examines each of these parameters in crucial depth and makes the argument that life forms we would recognize may be more common in our solar system than many assume. It also considers, however, exotic forms of life that would not have to rely on carbon as basic chemical element, solar energy as a main energy source, or water as primary solvent. Finally the question of detecting bio- and geosignature of such life forms is discussed, ranging from Earth environments to deep space. While speculative considerations in this emerging field of science cannot be avoided, the authors have tried to present their study with the breadth and seriousness that a scientific approach to this issue requires. They seek an operational definition of life and investigate the realm of possibilities that nature offers to realize this very special state of matter and avoid scientific jargon wherever possible to make this intrinsically interdisciplinary subject understandable to a broad range of readers. The second edition thoroughly updates this text in view of the rapid progress in the field and a substantial amount of new material has been added, in particular sections and chapters on adaptation to extreme environments, the future and fate of living systems, life detection concepts based on the thorough analysis of the Viking missions and the issue around the meteorite ALH 84001, and - last but not least - recommendations for the optimization of future space exploration missions. 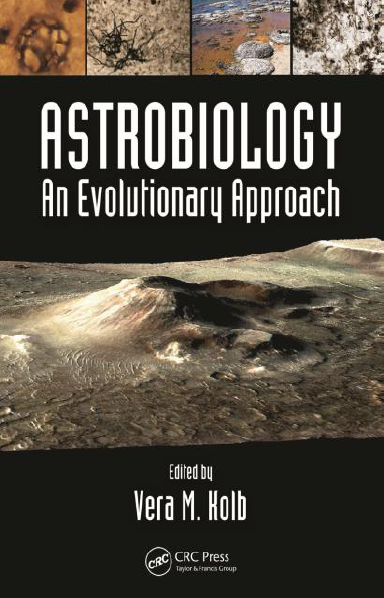 "[...] I know of no other book that reassesses the fundamentals of astrobiology in such way. This book is a tacit lesson in open-mindedness tempered with thorough scientific analysis. This is a very important book for all professional astrobiologists." Up to now, we do not have a generally accepted theory about the origin of life and about the process of development of life, we only have a great number of - to some extent even contradictory – hypotheses. Meanwhile there came up some scientific findings beyond thought only a few years ago. Horst Rauchfuss is comparing the different theories from the view of the latest results and is giving an exciting and easy understandable insight into the present state of research. 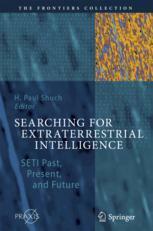 "This book is an excellent introduction into the newly emerging and exciting field of astrobiology. 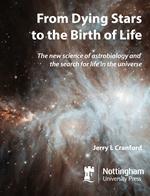 The lively writing makes it a pleasure to read for experts in the field and likewise it will encourage newcomers to learn more about astrobiology, the fascinating story of life in its cosmic context." "Planets & Life: The Emerging Science of Astrobiology"
Twenty-eight chapters (650 pp) by experts on all aspects of astrobiology; designed for advanced undergraduates and postgraduate students in the sciences, as well as professionals who want to learn the basics outside their own field; also appropriate as a textbook for astrobiology courses. 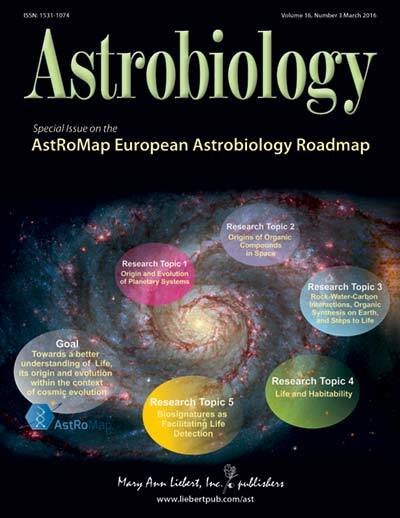 "This is the final report of the ESA Topical Team ROME"
Based on material delivered at several summer schools, this book is the firstcomprehensive textbook at the graduate level encompassing all aspects associated with the emerging field of astrobiology. Volume II gathers another set of extensive lectures covering topics so diverse as the formation and the distribution of elements in the universe, the concept of habitability from both the planetologists' and the biologists' point of view and artificial life. The contributions are held together by the common goal to understand better the origin of life, its evolution and possible existence outside the Earth's realm. The volume ends with 120 pages of a very useful appendix comprising "Some Astrophysical Reminders", "Useful Astrobiological Data" and "An Astrobiological Glossary". Clancy, P., Brack, A., and Horneck, G.
edited by Gerda Horneck und Christa Baumstark-Khan, Springer Publisher. 01/2005, Heise Zeitschriften Verlag, Heidelberg, www.telepolis.de. This book is the first comprehensive textbook at the graduate level encompassing all aspects that are associated with the emerging field of astrobiology. Volume I gathers a first set of extensive lectures that cover a broad range of topics, from the formation of solar system to the quest for the most primitive life forms that have emerged on the Early Earth. Micrometeorites played an essential role in the formation of the atmosphere of the Early Earth and also served as a significant source of activation for organic prebiotic chemistry on mineral surfaces. The present book gives a coherent account of this scenario, embedding the more specific results within a broader framework that considers the creation and evolution of the Early Earth. It thus addresses students and nonspecialist researchers in the fields of planetary atmospheres, biogeophysics and astrobiology. The experienced researcher will find this volume to be a modern and compact reference, as well as a source of material for lectures in this field. This study investigates the major theories of the origins of life in the light of modern research with the aim of distinguishing between the necessary and the optional and between deterministic and random influences in the emergence of what we call 'life'. Life is treated as a cosmic phenomenon whose emergence and driving force should be viewed independently from its Earth-bound natural history. The author synthesizes all the fundamental life-related developments in a comprehensive scenario, and makes the argument that understanding life in its broadest context requires a material-independent perspective that identifies its essential fingerprints. Energy, chemistry, solvents, and habitats - the basic elements of living systems - define the opportunities and limitations for life on other worlds. This study examines each of these parameters in crucial depth and makes the argument that life forms we would recognize may be more common in our solar system than many assume. It also considers, however, exotic forms of life that would not have to rely on carbon as the basic chemical element, solar energy as the main energy source, or water as the primary solvent. Finally the question of detecting bio- and geosignature of such life forms is discussed, ranging from earth environments to deep space. While speculative considerations in this emerging field of science cannot be avoided, the authors have tried to present their study with the breadth and seriousness that a scientific approach to this issue requires. They seek an operational definition of life and investigate the realm of possibilities that nature offers to realize this very special state of matter and avoid scientific jargon wherever possible to make this intrinsically interdisciplinary subject understandable to a broad range of readers. Growing evidence, based on observations from orbiters, landers and telescopes, indicates that Mars may still have numerous hidden water reservoirs. 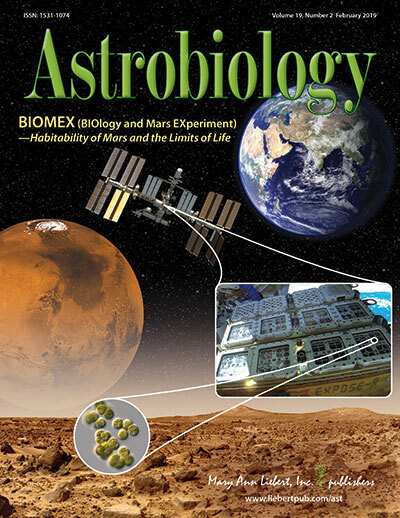 Moreover, from the point of view of habitability, Mars is a prime target for astrobiologists in search of extant or extinct microbial life because we know that life exists in earth's permafrost regions, such as parts of Siberia and the Antarctic, which are the closest terrestrial analogues to Mars. Water on Mars and Life surveys recent advances made in research into water on Mars together with its astrobiological implications. This volume addresses not only scientists working in the field but also nonspecialists and students in search of a high-level but accessible introduction to this exciting field of research.